How do you celebrate the 50th anniversary of a cultural landmark like “Sgt. Pepper’s Lonely Hearts Club Band”? The Beatles’ hometown of Liverpool threw a 2017 “Sgt. Pepper at 50” festival that commissioned everything from DJ Spooky and Judy Chicago to a John Cage Trust event at Aintree Racecourse. 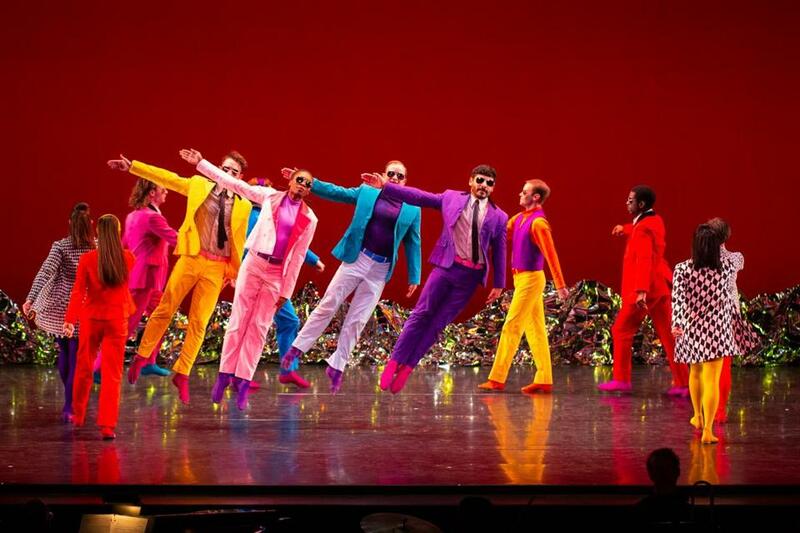 Kicking off the celebration was Mark Morris Dance Group’s “Pepperland,” a riff on the album that, this weekend, has made its way to the Shubert Theatre, courtesy of the Celebrity Series. It’s a romp, but it has nothing new to tell us about either Morris or the Beatles. The problems start with the music. The 12 songs (plus a shortened reprise of the title number) on “Sgt. Pepper” run 40 minutes. “Pepperland” incorporates just five of them: the title number (with reprise), “With a Little Help From My Friends,” “When I’m Sixty-Four,” “Within You Without You,” and “A Day in the Life.” No “Lovely Rita,” no “Lucy in the Sky With Diamonds.” As a bonus, we do get “Penny Lane,” which was intended for “Sgt. Pepper” before ending up as the flip side of the “Strawberry Fields Forever” single. But that’s still just 22 minutes of Beatles music, and not in the original versions. Instead, composer Ethan Iverson — a founding member of the Bad Plus and a frequent Morris collaborator — has arranged the material for baritone Clinton Curtis and chamber ensemble (soprano sax, trombone, piano, keyboard, percussion, theremin) and fleshed it out with his own Beatles-inspired compositions (“Adagio,” “Allegro,” Scherzo,” etc.) to create the evening’s hourlong score. “Pepperland” has its moments. “When I’m Sixty-Four” is done as a larky kickline, parts of which dance to counts of four, five, and six at the same time. (“In between 6 and 4” the program reminds us, “is 5.”) It’s a tour de force that makes the dancers look as if they really were 64. “Wilbur Scoville” (“Pepper” connection: he “invented the scale to measure heat in hot sauce”) offers up a horn-saturated slow blues for hilariously woozy revelers. And the theremin (Rob Schwimmer) and piano (Iverson) duet that starts off “A Day in the Life” does illuminate the original. But the “Magna Carta” introductions of the dancers as personages from the album cover — a white Sonny Liston, a black Albert Einstein, a female Karlheinz Stockhausen — are too clever by half and not funny enough, and that’s the case with most of “Pepperland.” “Sgt. Pepper” deserved a better 50th-birthday present.